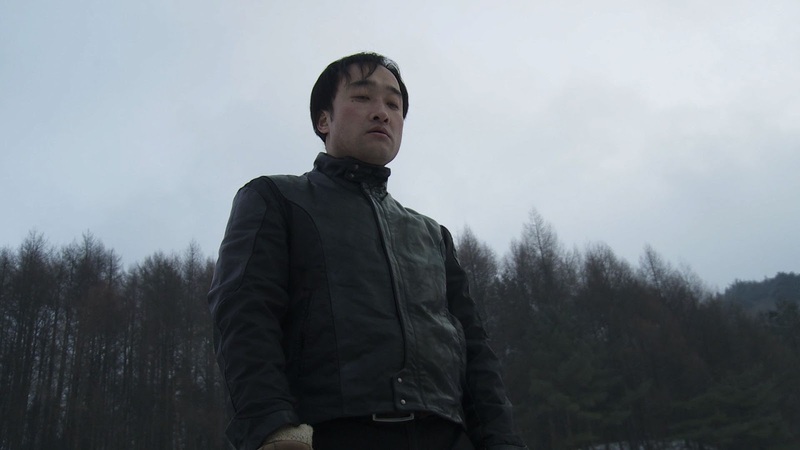 Following the one-year anniversary of his mother’s death, for which he blames himself, a man decides to spend some time at his friend’s empty house in the country. The only thing he must do his check on the hunting trap that his friend has left in the mountain. Meanwhile, a woman is released from jail and hitchhikes to get to a station. She borrows the driver’s phone to call a man, telling him she never wants to see him again. She then steals the driver’s money and runs into the forest, only to get caught in the hunting trap. The man finds the woman and brings him back but little do they know that the dangerous person she spoke to on the phone is closing in on them. The danger with pursuing any allegorical narrative is that spectators run the risk of not catching the inherent meaning lying beneath its symbolic devices. Oftentimes, directors try to engage viewers with a primary narrative while thinly veiling their ulterior motives. Michael Haneke achieved this brilliantly with Hidden (Cache, 2005), which is already an engaging, fascinating and mysterious narrative even before you pick up on its enormous allegorical themes about colonialism, racism and the troubles in the Middle East. Lebanon Emotion is a bit more aggressive in its use of allegory. It belongs to that group of films where if you can’t understand the film’s hidden message, you may be left out in the cold. Sadly, I may be leaning towards the latter group, as I can’t claim to have understood everything that unfolded on screen. Nevertheless, I was taken in by the film’s odd and elliptical approach to storytelling, which favored atmosphere over story. Though gleaning meaning from the images presented to us on screen is sometimes a frustrating experience, the film’s languid photography and pacing are immersive. Exploring themes of religion, sin and forgiveness, Lebanon Emotion presents us with characters looking to move on from their past. In the quiet and desolate snow-swept countryside, they seek respite from their despair. Unluckily for them, oppression is never far off as neon crosses hang above them in the sky or a villain approaches from the big city. The two put-upon leads are unable to escape their woes, suffocated by a society that wallows in the past. 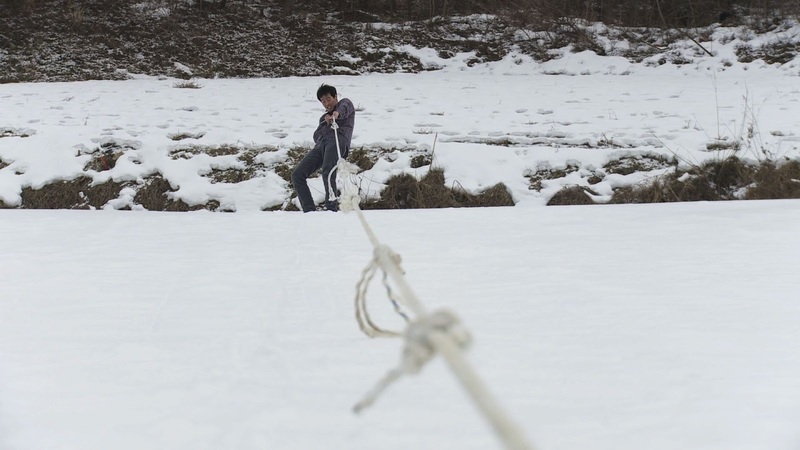 Similar to other recent low-budget debuts, such as A Fish (2011) and When Winter Screams (2012), which also dabbled in narrative-length allegory, Lebanon Emotion is an intriguing debut from Jung Young-heon, who returns to Jeonju after picking up the Best Director prize for his short Hard-Boiled Jesus last year. A symbolic and elliptical film dressed in a quiet but strong mise-en-scene, Lebanon Emotion is sure to divide viewers.